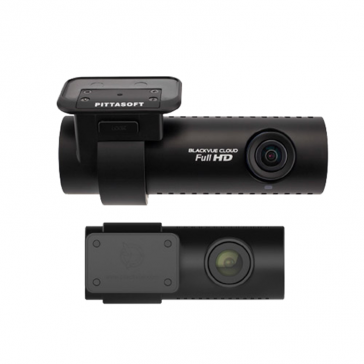 The DR650S-2CH is BlackVue's flagship model and features front and rear cameras, recording at 1080p and 720p respectively. With Wi-Fi enabling you to connect the camera to your smartphone, GPS to track your speed and location and an internal g-sensor to monitor your movement. One of our best-selling cameras to date, just got better! Full HD quality video 1080p (front) and 720p (rear). 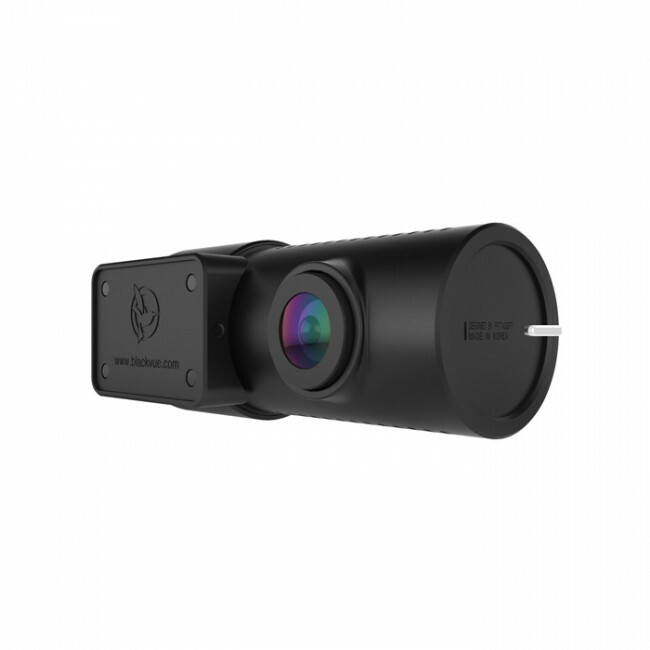 BlackVue over the Cloud compatible. Wi-Fi enabled to connect to a mobile app. Supports microSD cards up to 128GB. Following on from the huge success of the DR650GW-2CH, the similarly titled DR650S-2CH delivers the same high-quality that we've come to expect from BlackVue along with a few new features and improvements. With Wi-Fi enabling you to connect the camera to your smartphone, GPS to track your speed and location and an internal g-sensor to monitor your movement, the DR650S-2CH is a feature packed, high quality camera. The front facing camera records at full HD 1080p and the rear camera is HD 720p with three recording options (normal, event and parking mode). When in parking mode, which the camera will switch to automatically if it identifies that you've been stationary for a short while, the camera will monitor activity around your vehicle and capture footage of any movement that it detects. 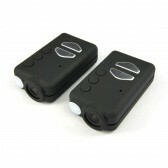 The front and rear cameras are connected via a 5m coaxial cable and videos from both car cameras are saved as individual files on one micro SD card, held in the front camera. The smart Wi-Fi feature enables you to access and transfer video easily to your smartphone or tablet device without having to remove the micro SD card. 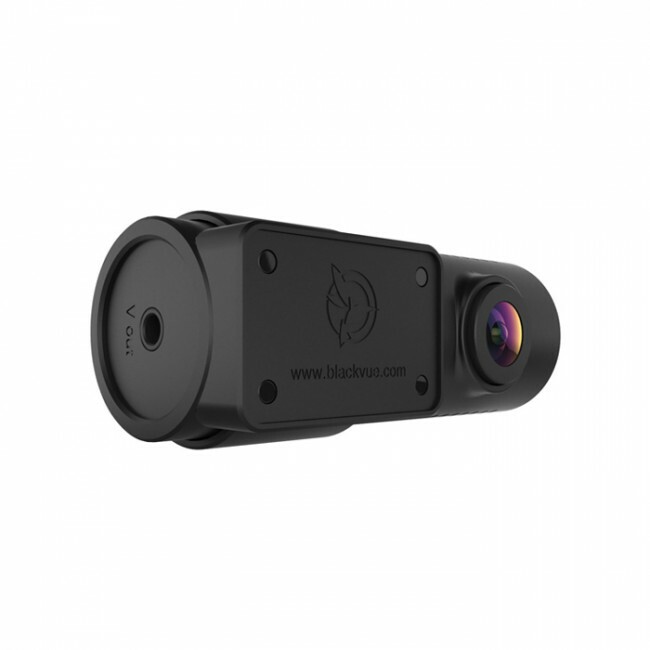 The BlackVue app for Android, iPhone and Windows 8 allows you to connect to the camera to play live footage or recorded videos or to make adjustments to the cameras menu settings. Alongside this you can connect your camera to a mobile internet source to enable the cloud functionality. This will allow you to back-up footage fro the camera to t he cloud, freeing up valuable space on your SD card and keeping important files secure. You will also be able to live-track your vehicle and get mobile notifications of parking incidents when connected to the cloud. To enable a large amount of footage to be held at any one time, the BlackVue DR650S-2CH supports memory cards up to 128GB in size. Note: For the camera to be used in parking mode the camera requires a continuous electrical feed while the ignition is turned off and so is required to be hardwired to your vehicles electrics. Add the BlackVue Power Magic if required. It was a pleasure doing business with you. You seem to be an honest straightforward company, who tolerated and answered my numerous e mails I will gladly recommend you to my friends. I had a hard fight with my son who wanted me to purchase on Amazon. Told him I'd rather stick pins in my eyes, stay with the firm who give the personal touch. I am one happy customer! I bought my Blackvue GR550 from you guys quite some time ago and it’s been fitted to my car since fortunately without the need to use it. My wife recently returned to work after maternity leave and has a long commute each day so we decided to invest in another dash camera. We bought the GR650GW-2CH from you during your black Friday sales. I was amazed when it arrived the next day and I fitted it to our car on Monday afternoon. To cut a long story short, on Wednesday a lorry drifted into my lane on a roundabout and the front of this lorry clipped the rear quarter of my car. When we both pulled over the driver started claiming that I had swerved into him. Having the comfort of knowing I had captured it all on video I was able to calmly exchange insurance details. When I then got in touch with his firm's insurance company unsurprisingly they were disputing liability. I simply emailed them the video I had and suggested they review it. About an hour later I had a very nice lady on the phone asking where I would like to get my car repaired at their expense! I am delighted with the result of what otherwise could have turned out to be a very drawn out and unfavourable liability debate. My camera has paid for itself several times over just in this one incident so thank you. Thanks again from a happy customer. My order arrived in perfect condition have quick fitted front and rear camera's the quality of the HD Footage is superb, would recommend the Blackvue DR650GW-2CH. The latest Blackvue viewer has ability to zoom in on parts of screen to check out number plates and other details in the event of an incident. Have now got to fit the Power Magic Pro and tidy up the cables. Well Done Blackvue and carcamerashop.co.uk 10 out of 10. I have received the camera and installed it over the weekend. The picture is superb. Does the unit stamp the video with time, date,speed and location. Thanks for your questions! 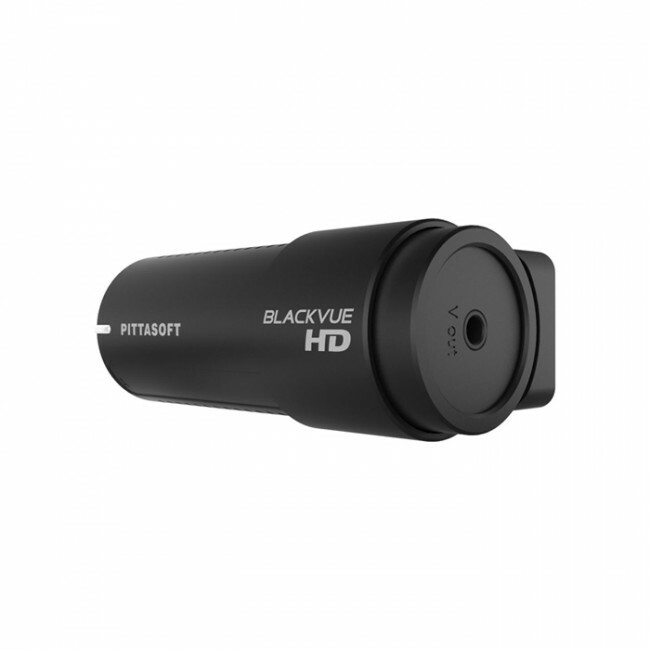 The BlackVue DR650GW-2CH has built-in GPS and the time, date and speed can be stamped on the video if required. To view your location, you would need to view your footage using the BlackVue Viewer software provided. The BlackVue App is compatible with devices with Android 2.3 or higher. Hi, I'm looking to buy the DR650GW 2ch to fit in my 2015 BMW X3 fitted with a DAB radio. I'm a bit concerned about your statement in the description that it may affect the DAB radio. Can you please advise whether you have had any customer feedback on this potential issue particularly on this model of vehicle? Thanks for your question Gordon. We've not had any recent feedback with DAB interference or had any experience with your car. BlackVue released an update to resolve the initial DAB interference and we've not had any reports since, however, as with any dash cam we cannot guarantee that you won't get any interference. Hope this helps - let us know if you need anything else. Does it record inside the car ??? The second camera is generally designed to face rearwards, out of the rear window, but we do have some customers, such as taxi drivers and driving instructors, who use it to view internally. It's not designed specifically for this purpose though. 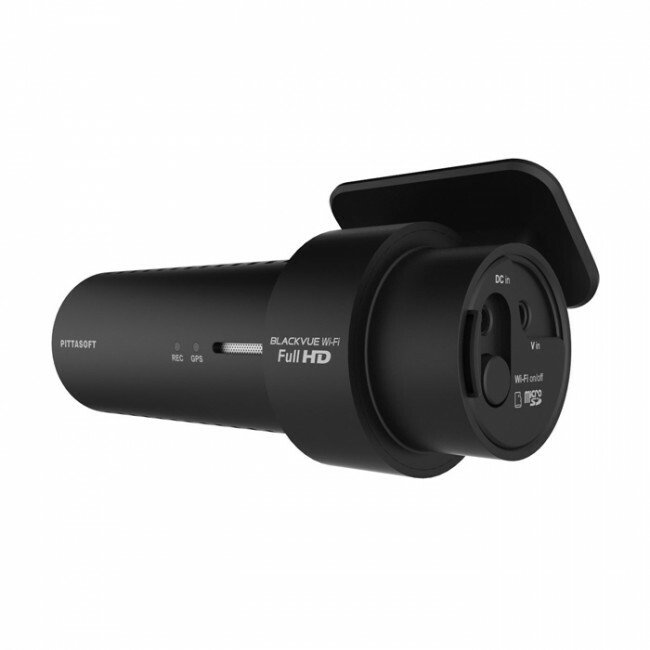 The camera can either by powered via your 12V cigarette lighter socket, or hardwired to your vehicles electrical system using a kit such as the optional Power Magic Pro. 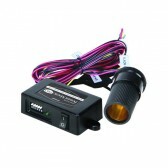 This will enable your camera to remain powered while your ignition is switched off. Hi, Does this or any front & rear cameras have parking mode for both front and rear cameras? 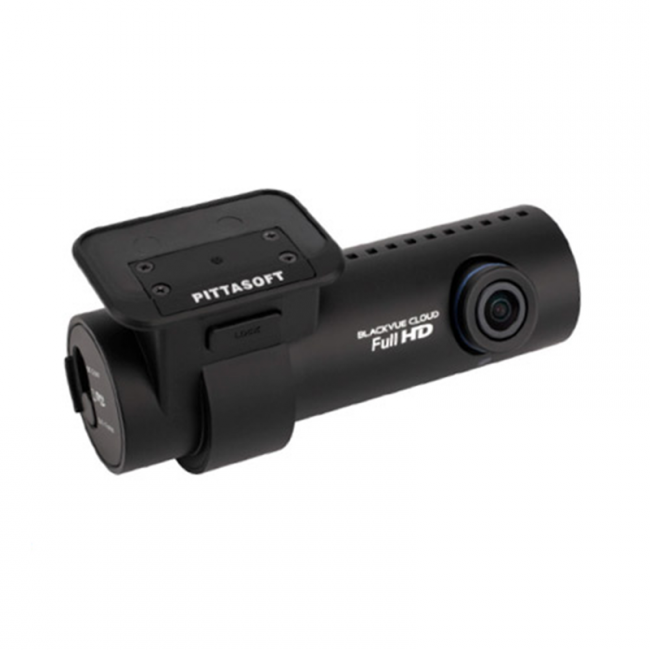 The BlackVue DR650GW-2CH offers parking protection at front and rear. how is the camera fixed to the screen, and can it be moved between vehicles? It's mounted with an adhesive mount. You can move it but you will either need an extra mount to fit into your other vehicle or you can purchase adhesive pads to move the mount.